Iron Man 2 - New trailer. They've got the briefcase suit! Who will voice Zack Snyder’s Guardians of Ga’hoole? Sam Neill, Geoffrey Rush, Hugo Weaving and David Wenham will topline the voice cast of Animal Logic’s 3D animated feature, “Guardians of Ga’hoole,” according to Heat Vision. 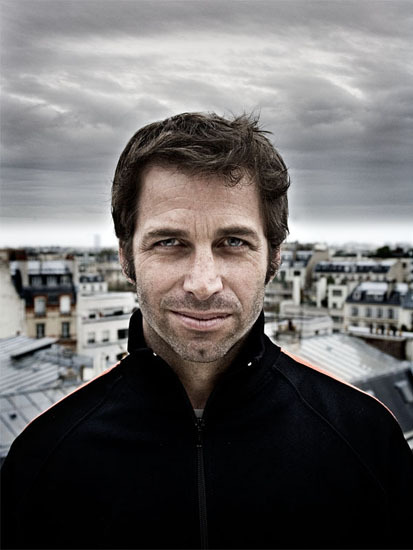 The big-budget fantasy film, in production in Sydney and directed by Zack Snyder, also will feature the voices of Aussie actors Emily Barclay, Abbie Cornish, Emilie de Ravin, Ryan Kwanten and Jay Laga’aia, as well as English actors Miriam Margolyes, Helen Mirren and Jim Sturgess. The animated film is an adaptation of the 14 book bestselling kids series by author Kathryn Lasky and illustrator Richard Cowdry and follows Soren, a young owl enthralled by his father’s epic stories of the Guardians of Ga’Hoole, a mythic band of winged warriors who had fought a great battle to save all of owlkind from the evil Pure Ones. The film is due for release in Australia on 9th December next year.